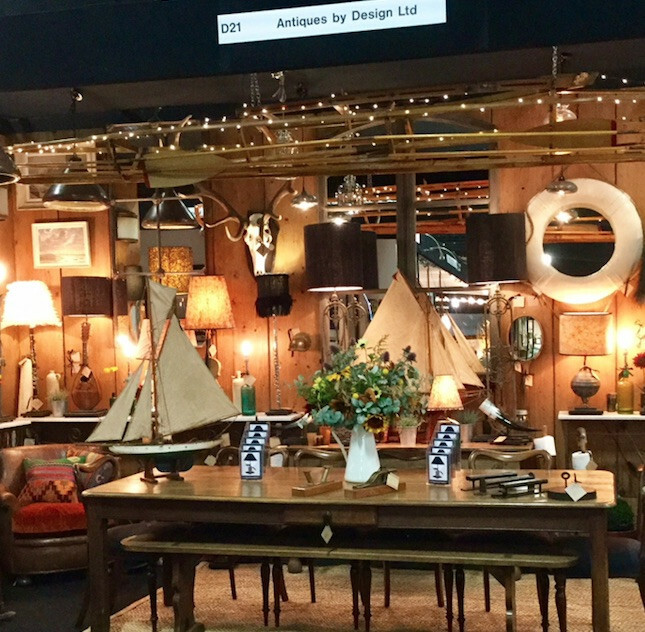 London South West, UK - Innovative reuse recrafted from architectural salvage and other reclaimed items from Antiques By Design is always a popular stand at Battersea Decorative and the Autumn Fair 2018 is no exception. A pair of old boat winches with two recrafted balustrade lamps, with an Edwardian pond yacht. 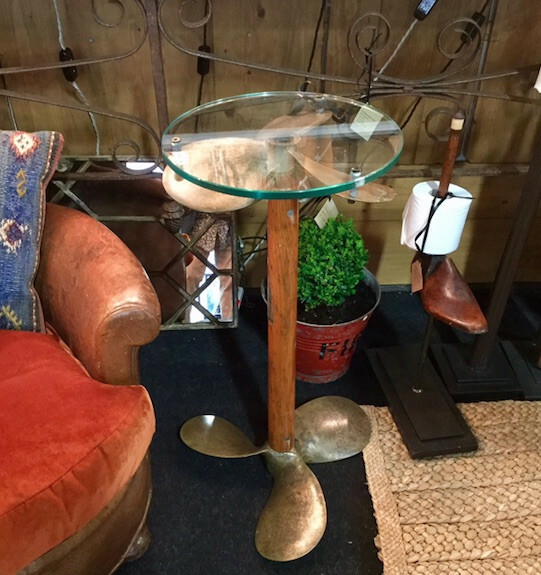 Two bronze propellers with an old oar now recrafted into an occasional table. 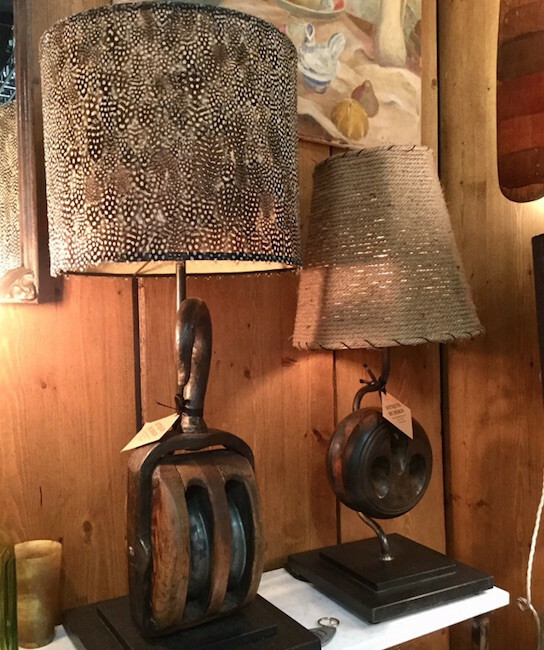 Old block with hook and a dead eye from a Spanish galleon recrafted into table lamps. 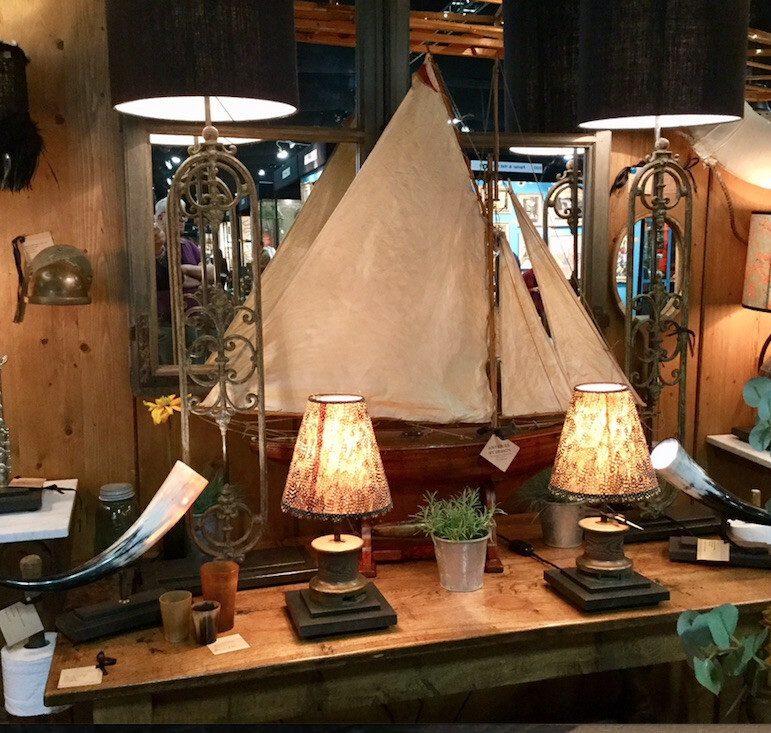 Gibbs Boat winch re-crafted into a table lamp with a Guinea fowl shade. This is an event not to miss both for professional designers and home renovators. The fair has been very busy with a good number of the public and interior designers attending. Lighting, chairs and mirrors have all sold well. The Decorative Antiques & Textiles Fair Autumn Fair 2018 runs from 2nd to 7th October, Battersea Park, London SW11 4NJ. See the link below for more details. And if you cannot make it to the fair then you can find Antiques by Design all year round on SalvoWEB. 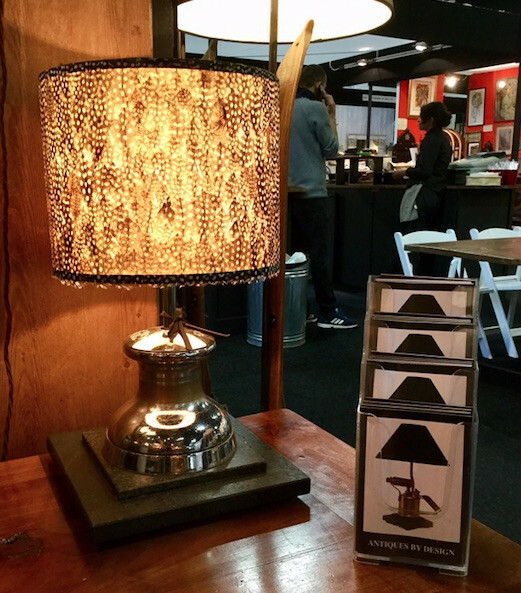 Antiques By Design is a Salvo Code member.